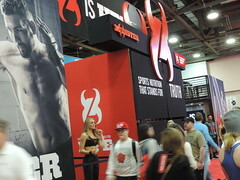 Last year we attended the Arnold Fitness EXPO with a fresh and unique event space forCytoSport, Inc. 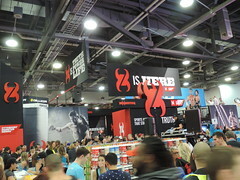 This March we returned to the nation’s largest health and fitness exposition with an even more elaborate consumer experience showing 175,000 attendees what it means to be a monster. 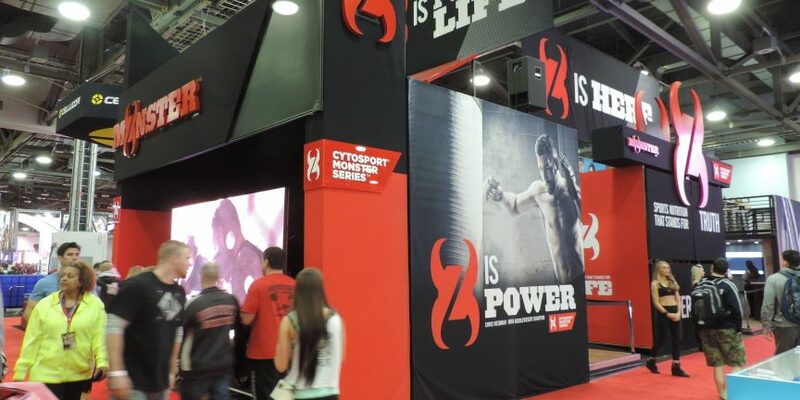 With the help of Andon Guenther Design, the CytoSport Monster Series received a brand overhaul and a refreshed line of products that debuted to its core consumer base at the Arnold Fitness EXPO. 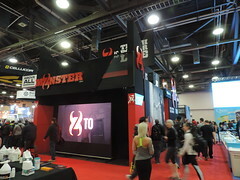 With a 60’ x 20’ footprint at the show, it was important that CytoSport, Inc. could represent the power behind the CytoSport Monster Series with a large-scale, interactive brand environment. 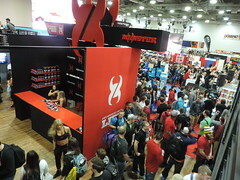 Where more traditional brands would feel the need to create an entirely new trade show environment for every product change, CytoSport, Inc. knew that working with Boxman Studios meant that the structures could easily adapt and transform to their fast-moving brand. Featuring the same 20’ structures from last year’s show, we incorporated new branding, decking, signage, and an all new aluminum framing system, to create a completely new experience. An experience that simply couldn’t be ignored. 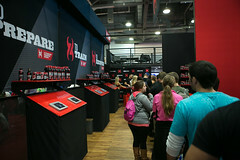 With more branding than we’ve ever fit into any build, along with custom fabricated features like iPad displays and expanded service bars, the structure truly was a monster that demanded attention of convention attendees. 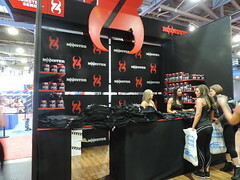 All told, the CytoSport Monster Series team distributed 25,000 individual product samples to their consumers during the three day expo. 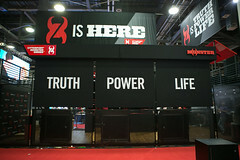 A true immersion experience, the 1200 square-foot, two-story brand environment packed neatly into itself by shrinking down to two 20’ and one 10’ container structures. We were proud to help tell the story that #MonsterIsReborn and we’re thankful to have worked with CytoSport, Inc. on multiple projects, and we’re excited for what collaborations we have in store for the future. 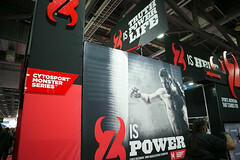 To see other projects we’ve done with CytoSport, click here.